We deliver a highly sophisticated level of investment advice and wealth planning services to an elite clientele of global investors. A deeply experienced 16-member team, we combine our own talents with the vast resources of Morgan Stanley to create, implement and maintain highly customized investment strategies and wealth management plans. We understand the unique needs of ultra-high net worth international clients, and we are well-prepared to help them protect the wealth they have created while generating the income they need to support their lifestyles and pursue their charitable missions. We serve a small group of clients with uncommonly complex global investment needs. We are experienced in the issues they face, capable of delivering the sophisticated strategies they require and are dedicated to their success. Hailing from across the United States and around the world, our clients currently entrust us with over $5 billion in assets under management. Drawing on over two decades of financial industry experience, Ron Basu focuses primarily on the asset allocation, equity and institutional consulting needs of our clients, both domestic and international. He is also the primary equity manager for our Buy Write strategy. Ron’s efforts to deliver the highest levels of performance and professionalism have earned him various distinctions within the wealth advisory community, including the Lehman Brothers’ Chairman’s Award for Extraordinary Client Service and membership in Morgan Stanley’s prestigious Chairman’s Club. Ron was recognized by Barron’s as one of the top 100 advisors in the country from 2012 through 2018 and by the Financial Times as one of the top 400 Advisors from 2013 to 2018. Ron earned his M.S. in business management from Trenton State College and has been working on Wall Street since October 1991. He started his career at Smith Barney working in their private wealth division. Ron moved to UBS’s private wealth division in 1997, where he continued to build his advisory business with various global family offices, hedge funds and ultra high net worth individuals. Ron was a managing director at Lehman Brothers’ Private Client Services from 2000 to 2008 and expanded his work to include several non-profit organizations and charitable foundations as well as key banking and firm clients. 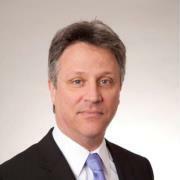 Christopher Toomey has worked in the financial services sector for more than 20 years. He started his financial career as a banking associate with J.P. Morgan Private Bank. He moved on to Lehman Brothers in 1998. While there, he held various positions, transitioning from a Portfolio Manager of Lehman Brothers Government/Credit Portfolio to building out Lehman's third-party, long-only manager platform. As a Senior Vice President at Lehman Brothers, Chris was responsible for due diligence and often assisted in providing asset allocation and investment advice for Private Wealth clients. Chris expanded his advisory role at Lehman, then moved to Morgan Stanley in 2008. 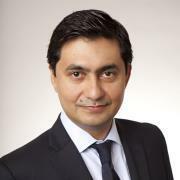 Currently, he advises on over $4.5 billion of the team's clients' assets. Chris has spoken at several conferences about alternative investments, including SALT, HedgeWorld and Investment Management Institute. He has also appeared on CNBC's Squawk on the Street, FOX’s Wall Street Week and Fox Business. He has been named to the Financial Times Top 400 Advisors List and the Forbes Top Wealth Advisors List. Born in Washington, D.C., Chris is a 1997 graduate of Hamilton College, with a B.A. in English and a minor in Economics. At Hamilton, he played squash and lacrosse and served as class president. While attending Hamilton, Chris met his wife, Anna, who is now a producer for "Good Morning America." Chris and Anna are parents of two children. An industry veteran of over 20 years, Rachael Naylor utilizes her knowledge and experience in fixed income to create customized solutions for domestic and international private clients. 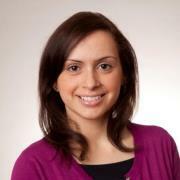 Rachael formed her association with Ron in 1999 and continued her role as Chief Fixed Income Strategist for the team. 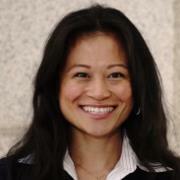 She also manages our flexible fixed Income strategy, and contributes her knowledge and experience in currency trading. Rachael was recognized by Financial Times as one of the top 400 advisors in the country, and by Barron’s as one of the top 100 women advisors, in 2015 and 2016. After graduating from Mercy College with a B.S. in public accounting, Rachael’s career started with the debt capital markets desk at Dillon Read in 1987. As Vice President of the debt syndicate group, she worked closely with corporations, investment banking and sales teams. 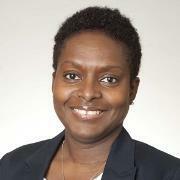 Rachael moved to UBS Private Wealth Management Service in 1997, where she was the director of fixed income trading and managed rates products for the private wealth division. Matt Nash advises the team’s individual, family and foundation clients on investment matters, with a particular focus on helping entrepreneurs and private business owners with their pre- and post-liquidity planning. Working closely with Morgan Stanley’s Philanthropy Management Group, he also helps foundations and public charities address their broader financial challenges. Matt joined the team as an analyst in 2010, focusing on portfolio analytics, asset allocation and overall business development. He had previously worked as a consultant for FactSet Research Systems, a financial information firm, where he gained an understanding of complex financial modeling and analytics. Matt graduated from Emory University’s Goizueta Business School in 2009 with a B.A. in finance and consulting. After 20 years of institutional portfolio management, Bart serves a select group of highly successful clients, designing bespoke strategies that reflect their unique circumstances. His team emphasizes service, customization, and delivering all the resources of an open-architecture platform and Morgan Stanley. Prior to Morgan Stanley, Bart ran the convertible bond business at Goldman Sachs. Before GS, he built and managed derivatives and convertible bond portfolios for two multi-billion dollar hedge funds. He began his career in trading at Goldman Sachs, trading options and convertibles, first in the trading pits in Chicago then upstairs in London. Bart is a graduate of Bucknell University, and has earned Chartered Financial Analyst™, Certified Financial Planner, and Chartered Alternative Investment Analyst designations. He and his wife live in Greenwich CT, with their one child and two dogs. Bart is active with the Boys and Girls Club of Greenwich as a volunteer and sponsor. 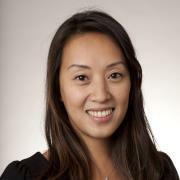 Anne Lin draws on over 17 years of financial industry experience to help clients with their wealth management needs. Her primary focus is on supporting the team's daily operations and overseeing client relations and execution of asset allocation strategies and portfolio implementation. In addition, Anne assists with client trading in fixed income, commodities, foreign exchange and derivative investments. Anne graduated with high honors from Rutgers College in 2001. She earned a dual B.A. in economics and English and was a Phi Beta Kappa member. 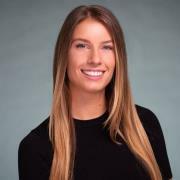 Before joining the team in 2013, she began her career on Wall Street as an operational analyst at Lehman Brothers, working in the mortgage principal and interest division for institutional clients. She later worked as trade support for government bond traders. 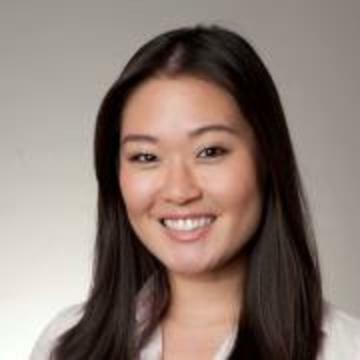 With over 10 years of industry experience, Alice Kim focuses primarily on equities, options and syndicate trading across all of the team’s client portfolios, as well as portfolio implementation and reporting. She joined the team in 2008, after spending several years working with both the domestic and international equity division for institutional clients at Lehman Brothers. Alice graduated from the University of Maryland in 2005, earning a B.S. in finance. 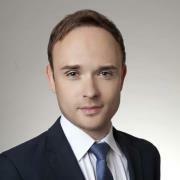 Alex Brezgin supports the team and its clients by conducting portfolio research and analytics. He joined the team after spending four years in Morgan Stanley Private Wealth Management’s Client Reporting & Investment Performance division. Focusing on fixed income products and data management, Alex helped Private Wealth Advisors across the country provide insightful analytics to their clients. He also led multiple system development initiatives, conducting research and working closely with software engineers. Alex moved to New York after studying mathematics and economics for two years at the University Higher School of Economics in Russia. He received a B.B.A. in finance with honors from the Baruch College Zicklin School of Business at CUNY in 2010. Alex still enjoys tutoring students in finance concepts and leading exam workshops, work he began when he was a student. Stuart Dubson’s financial services career spans nearly three decades, encompassing a broad range of trading and investment planning positions. 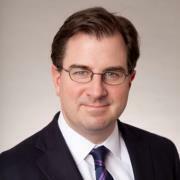 He joined The Basu Naylor Toomey Wealth Management team in 2011 to provide his extensive knowledge and experience of convertibles and equity options, and to serve as the team’s chief equity strategist. Stuart started his professional career in accounting at Shapiro, Taxon and Koppell after receiving his B.B.A. 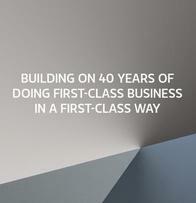 in accounting from Hofstra in 1978. 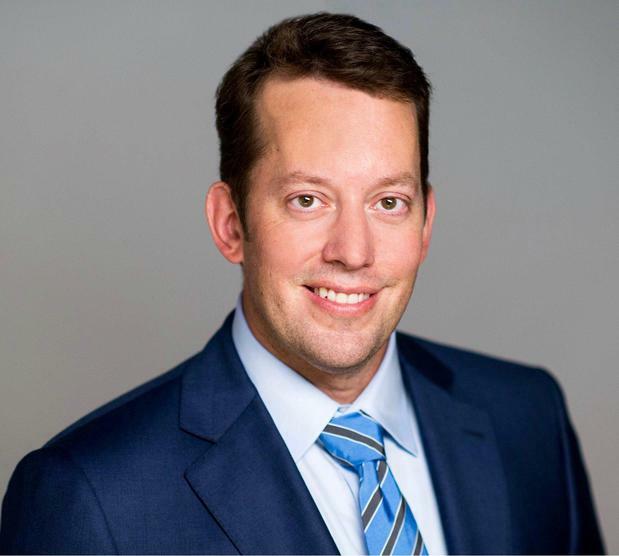 After earning his MBA in finance from Hofstra in 1983, he moved to Elliot Associates, LP as a portfolio manager/trader in convertible arbitrage, risk arbitrage and special situations. He continued to specialize in convertible arbitrage trading, strategies and portfolio management at various other firms, some of which included serving as managing director at Millennium Partners from 1988-1994; as managing general partner and CIO at Sparta Partners from 1999 to 2003; and as portfolio manager at DellaCamera Capital Management from 2005 to 2009. Stephanie joined Morgan Stanley in 2014 and brings a wide spectrum of private wealth management experience, having begun her career in the business in 2011. Stephanie functions as an analyst on Team Global and primary duties include enhancing client experience through diligent portfolio monitoring, reviewing investment ideas and proposing potential solutions to complete a holistic approach to a balanced and unique financial plan, customized for individual clients and prospective clients. Prior to working at Morgan Stanley, her New York City based predecessor firms include Wells Fargo and US Bancorp, where she focused on the portfolio management of Ultra-High-Net-Worth clients’ assets. In 2009, Stephanie graduated from Baruch College, where she received a Bachelor of Business Administration in Finance and Investments, along with a minor in History. She holds the Series 7 and 66 registrations and a member of the CFA® Society of New York. A New York native, Stephanie resides in Manhattan and during her leisure time enjoys traveling and cooking. Nick assists the team’s clients with fixed income and foreign exchange trading, as well as portfolio research, reporting and analysis. Prior to joining the team in 2018, Nick began his career as an analyst for Morgan Stanley’s PWM Portfolio Group. There he spent two years supporting top Private Wealth Advisors and their investment teams. He focused primarily on data reconciliation and analytics for various equity, fixed income, FX, derivative, and alternative investments products. He also helped successfully onboard the new high-net-worth investment management platform, Addepar. 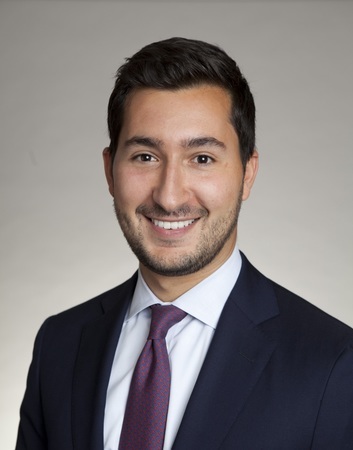 Prior to Morgan Stanley, Nick graduated in 2016 with a degree in Economics from Rollins College in Winter Park, Florida. 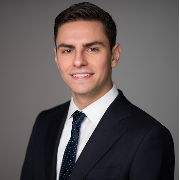 He has held internships at a private equity fund, a PE secondary market liquidity provider, and a Hellenic shipping company. He also belongs to the International Economics Honor Society, Omicron Delta Epsilon. In his spare time, he enjoys tennis, running, and cooking. 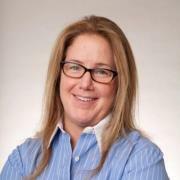 Sheryl Denniston provides an extensive range of services to clients of the team, including the opening of accounts, wires, deliveries and team operations management. A five-year veteran of the Morgan Stanley Wealth Management division, Sheryl previously worked at Bear Stearns, as part of its New York Branch Administration team. She graduated from SUNY Albany with a degree in finance. Drawing on nearly 20 years of service experience with the team, Lisette is responsible for all on-going client service and administration. This includes account opening, wires, deliveries and team operations management. Lisette graduated from Queens College with a B.A. in sociology in 1997. Sydney is a recent graduate from Florida State University with a degree in finance. After interning with Morgan Stanley in New York on an institutional team, she returned post graduation to work full time in Wealth Management. She serves as a Client Service Associate in Private Wealth Management, managing money movement, transfers, scheduling, client interactions, and administrative duties for the team. Victor primarily supports the team with Alternative Investments. He focuses on performance reporting, documentation, managing capital calls, and keeping the team organized across a very broad spectrum of investments. Victor has a breadth of experience and deep network within Morgan Stanley. Since joining the firm, he has supported Institutional Equity Swaps, Insurance & Annuities and Alternative Investments in Wealth Management, and served as a Client Service Associate in Private Wealth Management. 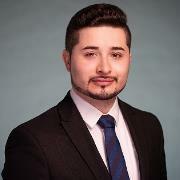 Victor graduated from Binghamton University School of Management with a concentration in finance.